Air journey is ever best way of transport around the world, and decrease the hours or days in the trip. Other convenience plan rather than airlines result a factor of months even numerous rural zones can't be reached without it. A normal flight has a lot of information such as flight name, travel time, capacity, distance covered and average delay etc. There is huge database for a flight data that always manages by the owner. The flight data actually deal with Big Data, terabytes of data generated by each flight that requires real-time specification to optimize flight operations, maintain safety and rally all compliance desires. The ability to process terabytes of data in real-time, a „big fast data? is a vast competitive help for an airline as it leads to improved service with lower operational costs. It also reduces the cost on storage hardware as not all data is crucial and by filtering it immediately, only the relevant data can be stored. Big data define as the pool of information?s that is unable to handled or analyzed using an data mining techniques or the tools. Constantly increase of computational power has brought tremendous data flow in the past two decades. 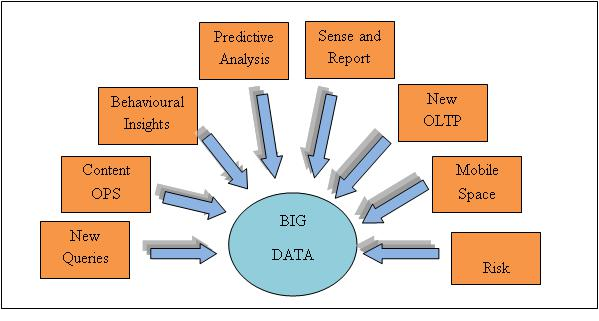 This flow of data is called as “big data” it cannot be deal with the aid of various tools or any other procedure and this is more comprehensible to computers.